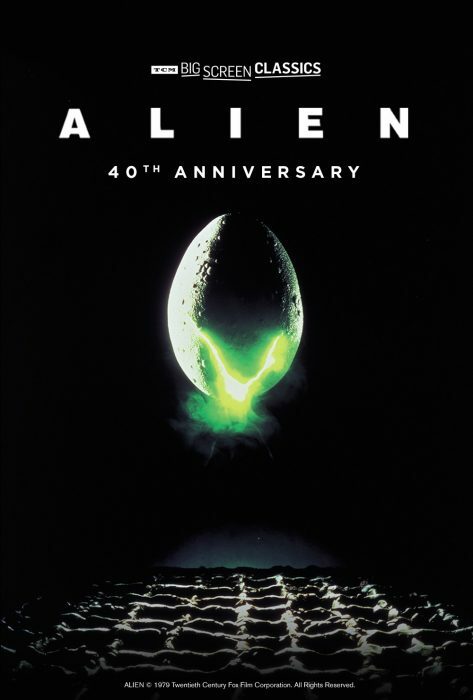 Alien 40th Anniversary Screenings Coming to the US in October! Alien will be coming back to theaters in the United States for an anniversary screening this October. From Fathom Events and presented by Turner Classic Movies ‘Big Screen Classics’ series, the movie will have screenings on three days: October 13th, 15th, and 16th. “Celebrate the 40th Anniversary of Alien! Directed by Ridley Scott, the original sci-fi classic follows Ripley (Sigourney Weaver) investigating a suspected SOS on a remote planet and makes a terrifying discovery. Tickets can now be purchased via Fathom Events or Fandango. We’ve reached out to Fathom for more info and will update this post if we hear anything. Keep checking in with Alien vs. Predator Galaxy for the latest on Alien! You can follow us on Facebook, Twitter, Instagram and YouTube to get the latest on your social media walls. You can also join in with fellow Alien and Predator fans on our forums!